Many states have laws that explicitly prohibit individual municipalities from creating minimum wages that are higher than the state's level, ostensibly as a means of keeping the playing field as level as possible for job creation. However, more lawmakers are also starting to recognize that this may not be fair for low-wage workers living in bigger cities with significantly higher living expenses, and as such are now moving to add more flexibility for cities to mandate businesses pay workers more. 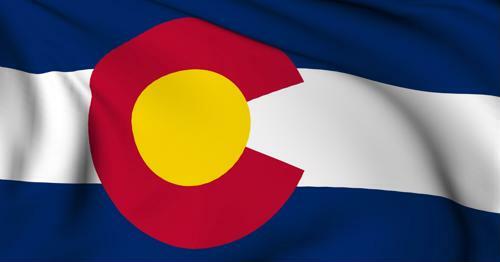 Colorado is one state where lawmakers are trying to add flexibility in this regard, with its House of Representatives recently passing a bill that allows cities to go above and beyond the state's $11.10 minimum wage, according to Colorado Springs television station KRDO. The state's minimum wage will rise to $12 per hour in 2020, but in the meantime, about 1 in every 4 workers statewide earn less than that amount. If passed by the state Senate and signed into law, the bill allows cities to start raising their own minimum wages within 90 days, the report said. Even as the actual machinations of how such a change would work for Colorado cities are still being hammered out, the state's capital and largest city is pushing to raise pay for at least some of its workers, according to Colorado Politics. In Denver, the city council recently approved a measure that raises the minimum wage for employees of the city government, which will now rise to $15 per hour by July 2021. The first step of the increase would go into effect in just a few months, rising to $13 at the beginning of July, then $14 in the same month next year, the report said. When finally completed in a couple of years, the growth will provide at least some financial benefit to almost 1,900 municipal workers - and also extend to workers whose companies contract with the city. The measure passed unanimously after being proposed by Mayor Michael Hancock, the report said. Included in this group of affected employees is everyone who works at Denver International Airport. Colorado is a rather expensive state to live in, and in Eagle County - where Vail and Eagle are located - the average single parent with two children has to earn nearly $60,400 annually to make ends meet, according to the Vail Daily. That amounts to $28.58 per hour, four times the federal poverty level, and similarly high levels were observed in Summit County - home to Breckenridge - and Denver County. And while the state is making progress on closing gender- and race-based pay gaps, at current improvement rates, the divides won't be bridged until almost 2060. When minimum wages are on the rise, it's incumbent upon businesses to stay ahead of the trends and continually offer their own workers stronger pay and great benefits. Doing so helps to not only attract new talent, but retain the skilled employees they already have on staff. That, in turn, helps them stay competitive in a low-unemployment job market.